Islamic finance has been developing rapidly in the UK for over a decade and the government has taken a leading role in legislating for its development and promotion. The UK hosted the first stand-alone Islamic financial institution in the EU and, according to data published by Al Rayan Bank at the end of 2014, the UK was the ninth-largest market for Islamic finance with approximately US$19 billion of shariah-compliant assets. The UK has a strong and proud tradition of openness and flexibility, which, combined with London’s position as a leading international financial centre and the UK’s significant Muslim population (just under 5 per cent of the UK population according to the 2011 census), provides a strong foundation for growth. As a result of its standing, London has long been perceived as the Western hub for Islamic finance. Rather than regulating Islamic finance products with separate legislation, the UK’s approach has been to adapt pre-existing legislation and regulations governing conventional financial instruments to cater for the structures commonly used in Islamic finance. In so doing, the UK’s approach has been to ensure a level playing field for Islamic finance products and conventional instruments, and so the UK has proactively monitored and responded to any unequal treatment between the two by introducing remedial legislation and regulations. For example, as early as 2003, the government introduced special exemptions to stamp duty land tax to relieve the unintended double taxation charge that arose as a result of structures used by Islamic mortgages and was also quick to remedy the adverse tax treatment of sukuk to place them on a level playing field with conventional debt instruments. This approach leaves the application of Islamic principles as a matter of conscience for the parties concerned, reflecting both the lack of a single codified body of Islamic law and the fact that there are differences of opinion among scholars as to how Islamic principles should be applied to modern-day financial instruments. As discussed below in more detail, the English courts have taken an approach consistent with this in considering only English law (to the extent that this is the governing law of the relevant contracts) when ruling on disputes involving Islamic finance transactions. The primary legislation that governs Islamic finance in the UK is set out in the Finance Act 2005 as amended by the Finance Act 2007. The Finance Act 2005 characterises Islamic finance transactions as ‘alternative finance arrangements’ and takes a relatively straightforward approach to folding Islamic finance instruments into the conventional legislative environment. For example, anything described in an Islamic finance instrument as ‘profit’ will be treated in the same manner as the provisions of previous Finance Acts that deal with ‘interest’; this is particularly important when considering the tax treatment of Islamic finance instruments. Further, given that the Finance Act 2005 was generally aimed at bank financing with a specific focus on consumer financing, particularly Islamic mortgages, the Finance Act 2007 expanded the scope of the Finance Act 2005 to include sukuk (defined as alternative finance investment bonds (Section 53, Finance Act 2007)) with the intention to pave the way for the inaugural sukuk issuance by the UK government (discussed in more detail below) by responding to the anomaly created by previously not providing for tax deductibility of profit distributions under a sukuk, making it a more expensive way to raise finance when compared to a conventional bond with tax-deductible interest payments. Prior to the introduction of the Finance Act 2007, an issue that arose in connection with a potential sukuk issuance by a UK issuer was whether, for the purposes of the Financial Services and Markets Act 2000 (FSMA), a sukuk would be considered to be the equivalent of a conventional bond or of a collective investment scheme (CIS). The issue arose because sukuk contemplate the investment by the issuer of the issue proceeds received from sukuk holders in certain assets – these are all features of a CIS. 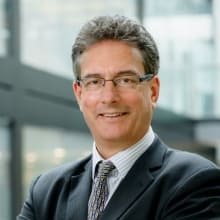 Market practitioners had long taken the view that a sukuk should be treated in the same manner as a conventional bond (with the investment in the assets being in satisfaction of shariah (not investor) requirements), but for such treatment to be given in the UK, an assessment would need to be made by the regulator in respect of each individual case – this was clearly not a practical solution. The Financial Services and Markets Act 2000 (Regulated Activities) (Amendment) Order 2010 (the 2010 Order) introduced a number of amendments to clear up this issue and to confirm that sukuk should be regulated in the same manner as conventional bonds. The 2010 Order amended the Financial Services and Markets Act 2000 (Regulated Activities) Order 2001 to specifically state that alternative finance investment bonds are to be categorised as ‘specified investments’ in the same manner as financial instruments that create or acknowledge indebtedness. The 2010 Order also amended the Schedule to the Financial Services and Markets Act 2000 (Collective Investment Schemes) Order 2001 to specifically exclude alternative finance investment bonds from the definition of CIS, and introduced a new Section 77A, which created a definition of alternative finance investment bonds. This definition is consistent with that set out in the Finance Act 2007. Notably, the 2010 Order made a number of consequential amendments to other legislation and regulations, including the Financial Services and Markets Act 2000 (Regulated Activities) Order 2001, the Financial Services and Markets Act 2000 (Carrying on Regulated Activities by Way of Business) Order 2001 and the Financial Services and Markets Act 2000 (Financial Promotion) Order 2005. These amendments extend the scope of those regulations to include alternative finance investment bonds. The amendments illustrate a consistent approach taken by successive UK governments in treating Islamic finance as a subset of the universe of conventional financial instruments. 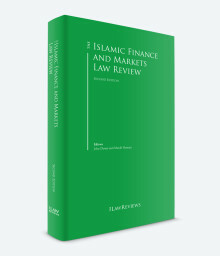 This approach indicates that the Islamic finance industry will be held to the same standards as the conventional finance industry in the UK, and contracting parties should expect to be subject to the same levels of scrutiny from the English regulators and courts as their conventional peers. The two principal authorities charged with the oversight of Islamic finance institutions (to the extent that such institutions perform ‘regulated activities’) are the Financial Conduct Authority (FCA) and the Prudential Regulatory Authority (PRA). The FCA is the conduct regulator with supervisory responsibility for Islamic finance in the UK, and all Islamic banks in the UK are required to be authorised and licensed by the FCA. The PRA holds responsibility for the prudential regulation of banks, building societies, credit unions, insurers and major investment firms – including Islamic banks in the UK. The FCA and the PRA each hold Islamic banks and financial institutions to the same standards of regulation as conventional banks, and Islamic banks in the UK are considered to be ‘financial institutions’ for the purposes of the FSMA. Islamic banks are subject to sanctions and fines in the same manner as conventional banks. The FCA’s and the PRA’s approach to regulation can be summed up as ‘no obstacles, but no special favours’. Unlike certain other regulatory authorities, such as Malaysia’s, the FCA does not have shariah scholars who review the shariah compliance of a product offered by an Islamic finance institution. Consistent with the UK approach of treating Islamic finance institutions in the same way as conventional firms, the Islamic finance institution would require authorisation to carry on regulated activities and obtain the necessary permissions from the FCA in the ordinary way. However, an Islamic finance institution may need to provide additional information to the FCA in certain circumstances, such as the role, if any, that its shariah board performs in relation to operational and financial matters. In addition, UK regulatory bodies have stated that they intend to work with international industry bodies, such as the International Organization of Securities Commissions, which have their own Islamic finance initiatives. The UK’s Financial Services Authority (which was the sole UK regulator prior to its split into the FCA and the PRA) also supported moves to develop common shariah standards by organisations such as the Islamic Financial Services Board (IFSB) and the Accounting and Auditing Organization for Islamic Financial Institutions (AAOIFI). While neither of these standards have been formally adopted in the UK (and therefore do not have any binding legal effect), they are certainly useful in identifying best practice. Finally, it is worth noting that financial transactions entered into with an individual and not otherwise subject to regulation under FSMA may be subject to regulation under the Consumer Credit Act 1974 (CCA), unless that agreement is entered into wholly or predominantly for business purposes, or one of the other exemptions under the CCA 2006 applies. Shariah-compliant consumer finance providers in the UK currently occupy a niche space advancing funds to customers in the form of simple murabahah financing and offering deposit investments in the form of profit-sharing investment accounts based on the principle of wakalah. Prominent consumer finance banks in the UK include Gatehouse Bank, the Bank of London and the Middle East as well as branches of some well-known Middle Eastern banks, such as Abu Dhabi Islamic Bank, Al Rayan Bank and QIB UK. One of the most interesting recent developments in Islamic consumer financing has been the establishment in the UK of Beehive, a peer-to-peer financing platform that includes a shariah-compliant window. Beehive’s shariah-compliant window uses commodity murabahah financing backed by the Dubai Multi Commodities Centre’s DMCC Tradeflow commodities trading platform, based in the Dubai International Financial Centre (DIFC). If an investor wishes to invest in shariah-compliant transactions only, it can indicate that preference in its profile. Beehive uses the Shariyah Review Bureau, which is licensed by the Central Bank of Bahrain, as its shariah board to review potential opportunities for investment. Any investments that are not approved as shariah-compliant by Beehive’s shariah board are not made available to the Islamic investor – these are made available only to conventional investors. Assuming an investment is shariah-compliant, Islamic investors may place bids on the Beehive platform to enter into a financing with the end user in much the same manner as a conventional peer-to-peer lending platform. If successful in its bid, the Islamic investor then enters into a murabahah contract with that counterparty. The primary structures used in home finance in the UK are ijarah and an ijarah with diminishing musharakah structure, which contain many of the features of a conventional repayment mortgage. Under the terms of an ijarah mortgage, the bank purchases the property (with title in and to the property registered in the name of the bank) and leases it to the homeowner for a specified period. The homeowner gives an undertaking that, at the end of the specified period, it will purchase the property from the bank using the final lease payment, following which legal title is transferred to the homeowner and title in and to the property is registered in the name of the homeowner. Under the terms of an ijarah with diminishing musharakah structure, the bank and the homeowner together purchase the property in proportion to the capital put forward by each of them. However, title in and to the property is registered solely in the name of the bank. The homeowner pays the bank rent for the use of that part of the property that is owned by the bank under the terms of the musharakah. The homeowner also makes periodic payments to the bank to purchase its remaining interests in the musharakah such that the bank’s interest diminishes until the homeowner is the sole owner of the property. Once the homeowner has purchased all the bank’s interests in the musharakah (and thus is the sole owner of the property), title in and to the property is registered in the name of the homeowner and the mortgage terminates. Islamic banks in the UK also offer rent-only ijarah mortgage packages that contain features similar to a conventional ‘interest-only’ mortgage. In this scenario, the homeowner pays the bank rent for that portion of the property owned by the Islamic bank through the musharakah term. At the end of the musharakah term, the homeowner is obliged to purchase all the bank’s interests in the musharakah in one go. Much of the growth in the shariah-compliant home finance market was facilitated by an amendment to the tax laws in the UK in 2003 that removed what had previously been a double charge to stamp duty land tax: once at the date of the joint purchase of the property by the bank and the homeowner (and registration of title in the name of the bank), and a second at the date of the purchase by the homeowner of all the bank’s interest in the musharakah (and registration of title in the name of the homeowner). This change in tax law is discussed further below. Insurance companies in the UK offer takaful products to Muslim customers using structures typical to the takaful market. As with many other facets of Islamic finance, London is seeking to become a hub of takaful and the Islamic Insurance Association of London (IIAL) was launched in July 2015 with the aim of promoting that goal. Lloyd’s of London is a founding member of the IIAL and launched an office in the Dubai International Financial Centre in March 2015. Friendly societies and other mutual insurance companies are potential vehicles that could be adapted to provide takaful. Friendly societies in particular have an affinity with shariah principles because all contributions to a friendly society are made voluntarily. Friendly societies have evolved in different ways over the years. Since 1992 most have taken advantage of the ability to incorporate, which allows them to undertake a defined range of activities. There would be significant challenges in establishing a new shariah-compliant friendly society since, to be authorised by the Financial Services Authority to carry on regulated activities in the UK, the friendly society would need significant amounts of regulatory capital. As a mutual institution, a friendly society does not have shareholders that might provide that capital. On the contrary, Section 5(2)(b)(i) of the Friendly Societies Act 1992 provides, in effect, that only members (or persons connected with members) can receive benefits from the society and the converse of this is also generally held to be true, namely that a person cannot be a member of a friendly society unless he or she (or a person connected) receives insurance or similar benefits from the society. The leverage that private equity funds obtain in connection with investments normally presents an insurmountable barrier to entry for Islamic investors who, as a result, are unable to invest in conventional private equity funds. Fully shariah-compliant funds require tight restrictions on debt and the appointment of a full-time shariah supervisory board to approve individual investments, DIFC and are expensive to establish. The demand does not appear to have been sufficiently high to make overcoming these obstacles economically viable and, as a result, the Islamic private equity space has not grown with any conviction. Opportunities exist in the synthetic feeder fund space in relation to specific identifiable investments, but this is yet to become a significant tool in the UK private equity market. UK real estate is one of the most popular asset classes for both international and domestic Islamic investors. Local players Gatehouse Bank and 90 North Square have offered shariah-compliant real estate investment products to Islamic investors for a number of years. Real estate investments typically apply a wakalah, mudarabah or musharakah structure to invest in an underlying portfolio of real estate assets, as well as shariah-compliant real estate investment trusts. However, care must be taken around certain shariah red flags, including any terms of any underlying leases that may include late payment interest charges. For new assets that are yet to be rented, late payment interest can generally be restructured as a late payment administrative charge – an approach that is common in shariah structures. However, with established assets (especially those held by conventional landlords), late payment interest may be embedded in the contracts, and amending such contracts is both impractical and undesirable. In this situation, the documents governing the Islamic investment typically provide that if any haram income exceeds a de minimis threshold (typically 5 per cent of the total income from the real estate assets) then those amounts should either be directed solely to a conventional co-investor (if there is one) or otherwise to charity. As noted above, the specific requirements of shariah-compliant investment funds (such as the requirement for a shariah supervisory board), the restrictions on any leverage that may be applied to investments in assets and the need for an annual shariah audit have meant that the UK has not seen a high number of shariah-compliant investment funds established. The UK government became the first sovereign national government outside the Islamic world to issue a sukuk with HM Treasury’s £200 million sukuk issuance in June 2014. The sukuk was structured as a sukuk al-ijarah (being the simplest and most widely accepted Islamic finance structure) and pays out profits based on the rental income from three government-owned properties in lieu of interest. The £200 million sale was more than 10 times oversubscribed by investors in the UK, the Middle East and Asia, attracting orders of £2.3 billion. The interesting aspect of the structure is that it did not adopt the delegate model (the Islamic equivalent of a conventional bond trustee) but opted instead to replicate the structure used for UK government gilts. While a comparatively small issuance by the standards of the UK government, the sukuk was intended to act more as a marketing tool for the UK government in its push to promote the UK and London as a centre for Islamic finance. Following on from that, UK Export Finance participated as guarantor of Emirates Airline’s issuance of US$913,026,000 sukuk in March 2015. The proceeds of the sukuk issuance were to be used to purchase four new Airbus A380-800 aircraft, which would become the ijarah assets. In addition to being the world’s first sukuk supported by an export credit agency, what was particularly interesting about this transaction was that there was a lead time between the issuance of the sukuk and the Airbus aircraft being available for delivery. As a result, for the period between the issue date and the relevant aircraft delivery dates, the proceeds of issuance were invested in what were known as ‘rights to travel’ on Emirates aircraft. This was an example of the UK government seeking to promote Islamic finance in tandem with the interests of British industry (the wings for the Airbus A380 are manufactured in Filton, near Bristol, and Broughton, in North Wales). It is also another example of alternative assets – the rights to travel – being used to underpin sukuk and builds on the success of issuances by Axiata Telecom (which utilised airtime vouchers) and FWU Group (which utilised the intellectual property in computer program source code) of sukuk backed by alternative assets. Reforms to tax law and regulation have led the way in terms of the accommodation of Islamic finance within the laws of the UK. In 2003 Parliament passed the Finance Act 2003, which introduced the concept of alternative property finance to cure the double charge to stamp duty land tax that had affected the Islamic mortgage market up to that point. Under ijarah and diminishing musharakah structures there are effectively two sales of the property being financed: the first when the bank buys the property from the vendor and the second when the homeowner completes repayment of the financing and buys the property back from the bank. Each of these purchase transactions previously gave rise to a charge to stamp duty land tax, which made the Islamic mortgage market prohibitively expensive. The Finance Act 2003 introduced specific exemptions for Islamic mortgages to ensure that they incurred only one charge to stamp duty in the same manner as a conventional mortgage. The introduction of the various regulations to facilitate sukuk issuance in the UK between 2007 and 2010 also gave rise to a need to include changes to tax law on the basis that the most common structure used for sukuk (and the one used for the UK government’s sukuk) is ijarah based on property. The Stamp Duty Land Tax (Alternative Finance Investment Bonds) Regulations 2010 fixed a point of confusion by clarifying that the exemption from stamp duty land tax that applies to a transfer of leases as part of an alternative finance income bond structure will not be denied on the basis of other provisions of those regulations that would otherwise deem such a transfer to be a grant for stamp duty land tax purposes (i.e., the exemption is extended to ensure that an ijarah-based Islamic finance instrument is treated in the same manner as its conventional equivalent). These regulations are further supplemented by the Alternative Finance Investment Bonds (Stamp Duty Land Tax) (Prescribed Evidence) Regulations 2009, which prescribe the evidence that needs to be provided to HMRC in relation to claims for relief from stamp duty land tax in these circumstances. The common purpose of this legislation has been to allow Islamic instruments the same treatment as conventional ones by making a distinction between the transfer of ownership of land for the purposes of occupancy or other use and the transfer of a form of ownership of land that is intended purely to facilitate a shariah-compliant transaction. There are various structures that can be adopted for a sukuk that may affect how it is classified for insolvency, tax and regulatory purposes. Sukuk, are, however, typically structured to have the same economic effect as a conventional bond and are treated as such for IFRS (International Financial Reporting Standards) purposes. To date, the treatment of Islamic finance instruments in insolvency remains untested in the UK. Further, no Islamic institution has filed for insolvency or any insolvency-related procedure in the UK, meaning that it is not clear how the English courts would treat any such situation. Whether a sukuk is treated as an equity or a debt instrument depends on the structure and the risks and rewards of the sukuk. In particular, whether the sukuk is asset based or asset backed could affect this analysis. Often, it is the case that, from the originator’s perspective, the sukuk are shown as a financial liability on its balance sheet because it retains control over the issuer entity. From the sukuk holders’ perspective, the holding would need to be classified into certain categories, such as an instrument held to maturity or a loan and receivable. Legislation now provides that where certain conditions are satisfied, the return paid to sukuk holders is tax-deductible by the issuer, consistent with the treatment afforded to conventional bondholders. However, it is worth noting that the Financial Services and Markets Act 2000 (Regulated Activities) Order 2010 made certain consequential amendments to legislation necessitated by the inclusion of a new definition of alternative finance investment bonds. These included amendments to the Insolvency Act 1986 to broaden the scope of the definition of ‘bond’ to include alternative finance investment bonds. This appears to indicate clearly that the intention of lawmakers in the UK is for sukuk to be treated in the same manner as conventional bonds and from that we may extrapolate that in the event of insolvency under English law, shariah-compliant instruments would be treated in the same manner as their conventional counterparts. Much of this is based on the economic effect of those instruments as well as their legal form, but it is clear that there is no current intention for a separate insolvency regime to be introduced for shariah-compliant instruments. As a general comment, shariah is not applied in the UK and English law does not recognise shariah as a system of law capable of governing a contract, on the basis that English law does not provide for the choice or application of a system of law other than a system of national law. This is based on the Convention on the Law Applicable to Contractual Obligations 1980 (the Rome Convention), which requires that a governing law of an agreement must belong to a country (see below on the Shamil Bank case). The English courts have, however, taken the (uncontroversial) view that they have jurisdiction to decide cases involving shariah-compliant products and structures that are documented under contracts governed by English law. The main question that arises is how English courts – being courts in a non-Muslim jurisdiction – will address matters that concern shariah compliance. In particular, will English courts consider matters of shariah law in reaching a judgment? The defendants advanced a defence that, for the agreements in dispute to be enforceable, the above governing law clause required that they be valid and enforceable both in accordance with the principles of shariah and in accordance with English law. The judge considered whether this gave rise to a conflict of laws point, noting that it is not possible for a contract to be governed by two systems of law. In rejecting the defendants’ claim and deciding that the relevant agreements were not governed by shariah law, the judge focused on the Rome Convention, which states at Article 3.1 that a contact ‘shall be governed by the law chosen by the parties’ [emphasis added] and which makes clear at Article 1.1 that the reference to the parties’ choice of law to govern a contract is a reference to ‘the law of a country’ [emphasis added]. In his ruling, Lord Justice Potter stated that shariah is a non-national system of law and agreed with the view of Mr Justice Morison in the original trial that the principles of shariah are ‘not simply principles of law but principles which apply to other aspects of life and behaviour’. As is noted in many articles and texts on Islamic finance, shariah is not a codified body of law; rather it is a collection of strands of jurisprudence developed by separate schools of Islamic thought, based on each school’s interpretation of the cornerstones of Islam: the Quran, the Sunnah and the Hadith. These interpretations are often not consistent and sometimes openly contradictory. As such, it is not clear how the reference to ‘Subject to the principles of the Glorious Sharia’a’ should be interpreted by a judge. As noted by Morison J in his original judgment in this case, ‘the application of [shariah] principles in relation to matters of commerce and banking were plainly matters of controversy’. The doctrine of incorporation can only sensibly operate where the parties have by the terms of their contract sufficiently identified specific ‘black letter’ provisions of a foreign law or an international code or set of rules apt to be incorporated as terms of the relevant contract such as a particular article or articles of the French Civil Code or the Hague Rules. Potter LJ again cited the differences of opinion that are such a particular feature of Islamic finance and noted the lack of any specificity as to which aspects of shariah were intended to apply to the agreements in dispute. He therefore held that the principles of shariah were not ones to be considered by the court and that ‘the validity of the contract and the defendants’ obligations thereunder fall to be decided according to English law’. The Shamil Bank case has therefore set the standard under English law that the English courts will consider disputes under English law-governed shariah-compliant contracts as matters of English law to the exclusion of questions of shariah. While speculative, it is worth considering whether the judge may have taken a different view as to the application of shariah to the contracts had the parties, as an example, specified that the shariah principles codified by the Accounting and Auditing Organization for Islamic Financial Institutions (AAOIFI) in its Shari’ah Standards should apply. AAOIFI’s Shari’ah Standards represent one of the few attempts to codify shariah and is a standard set of principles to which most Islamic financial institutions elect to adhere. The position in Shamil Bank is supported by the earlier Symphony Gems case,3 in which Mr Justice Tomlinson stated that ‘it is important to note – indeed, in my judgment, it is absolutely critical to note – that the contract with which I am concerned is governed not by Shariah law but by English law’. This case involved some dispute as to whether an agreement that had been labelled a murabahah contract was, in fact, a murabahah contract and therefore whether or not the agreement was shariah-compliant. That question had wider implications for the case but as to the question of how an English court will review an English law agreement (whether or not it is expressed to comply with shariah), the judge continued: ‘it seems to me that it is not of any relevance to the issues which I have to decide what are the essential features of a Morabaha [sic] contract [...] it is a contract governed by English law. I must simply construe it according to its terms as an English contract’. While by no means a weighty corpus of precedent, the fact that there is case law available from the English courts provides comfort to international market participants as to the treatment of Islamic finance contracts that are, for the most part, governed by English law. As well as the governing law issues considered above, another issue that has been considered by the English courts is whether a claim for ultra vires can be made on the basis that a contracting party (who is only permitted to enter into contracts that comply with shariah) entered into a contract that purported to be a shariah-compliant contract but that may, on its facts, be non-compliant with shariah. The best-known case on this is Blom Bank.4 The facts of the case are, briefly, that Blom Development Bank SAL (Blom Bank) entered into a wakalah contract with The Investment Dar (TID), a Kuwaiti investment company. Under the terms of the wakalah agreement, Blom Bank was to be paid a return on its wakalah investment that purported to be linked to the profits of the underlying investment (i.e., profit amounts may be lower than anticipated (including zero) and are not guaranteed), but that, according to the terms of the agreement, provided for a fixed return. This meant that rather than taking investment risk, Blom Bank took only insolvency risk on TID. TID is a shariah-compliant investment company that is required by its articles to contract only in a manner that is shariah-compliant, with those articles stating: ‘None of the objectives shall be construed and interpreted as permitting the company to practice directly or indirectly in any usury or non-shariah compliant activities.’ Blom Bank brought a case for summary judgment, seeking the return of the principle amount invested plus all profit accrued. TID argued that the wakalah arrangement was not a true wakalah arrangement but rather disguised lending at what amounted to an interest rate. Since this was specifically prohibited by TID’s objects, the transaction was ultra vires TID. What is important to note about this case is that no ruling was made on the question of ultra vires. Instead, the issue was declared to be unsuitable for summary judgment and referred as a matter for trial. What is equally interesting is that the judgment declared that if the contractual claim that Blom Bank had made against TID for payments due to it under the wakalah contract failed as a result of the ultra vires defence, a claim in restitution (which Blom Bank added to its appeal in response to the ultra vires argument) was likely to succeed. Blom Bank was awarded summary judgment for the principal amount it invested with the question of ultra vires and whether or not Blom Bank had a claim for its profit left as questions for trial. This was because the question of ultra vires was one for expert determination at trial involving consideration of Kuwaiti law, being the jurisdiction of incorporation of TID. At the time of this case, TID was in considerable financial distress and, having been placed under the protection of the Kuwaiti Financial Stability Law, the case went no further. What distinguishes the Blom Bank case from both the Shamil Bank case and the Symphony Gems case is the willingness of the court to consider issues of shariah compliance in front of an English court, albeit on the limited basis of the consideration of an ultra vires defence. As the Blom Bank case went no further, it does not provide a conclusive or even compelling guide as to how the English courts will consider issues of ultra vires and shariah compliance. However, one should also bear in mind that the judge was clear that, in his view, were an ultra vires defence to succeed, a claim for restitution would be successful. This may be read to confirm the view that English courts will consider English law-governed Islamic finance contracts as questions of English law only. Dana Gas (an issuer based in the UAE) was attempting to render its mudarabah sukuk unenforceable on a number of grounds, one of which was that the sukuk were not shariah-compliant. Although Dana Gas has sought to bring proceedings to adjudicate on this matter in the Sharjah Federal Court of First Instance, a number of the sukuk documents are governed by English law, and so Dana Gas has also sought and obtained an interim injunction in the English courts preventing the sukuk holders from declaring an event of default or dissolution event in relation to the sukuk. In its injunction claim, Dana Gas has referred to the Ralli Bros principle, which provides that an English law contract that requires performance of an act that is unlawful in the place of its performance will not be enforced by an English court. At the time of publication, it was not clear whether there will be a full hearing of this matter before the English courts. The UK has been the most prominent non-Muslim jurisdiction that has sought to promote Islamic finance and has taken concrete steps both through legislation and government-led transactions to promote Islamic finance. On its website, the London Stock Exchange (LSE) boasts that over US$48 billion has been raised through 65 sukuk issuances that have been listed on the LSE and such securities can be admitted on either the Main Market, which is a regulated market under the EU Markets in Financial Instruments Directive (2004/39/EC), or the Professional Securities Market, which is a platform reserved for professional investors and is not a regulated market. Further, several shariah-compliant institutions are listed on AIM (alternative investment market), enabling the purchase of shariah-compliant shares and there are numerous shariah-compliant exchange traded funds based on Islamic indices. London remains, and is expected to remain as such in a post-Brexit environment, one of the world’s premier financial capitals and its expertise in creating complex structured finance products puts it in a strong position to be at the forefront of the development of Islamic finance globally. While no new Islamic finance-specific legislation is expected in the near-term, the UK government has a track record in reacting to the demands of the market as they arise. In terms of commercial and transactional development, fintech is one of the main focus areas in finance at present and Islamic finance is not immune to this trend. Peer-to-peer financing and crowdfunding would appear to capture the very essence of Islamic finance and the introduction of a shariah-compliant platform on Beehive should be the first of a number of similar initiatives. The UK government has done its part to encourage Islamic finance through the issuance of sukuk, which has paved the way for UK corporate issuers to follow suit. 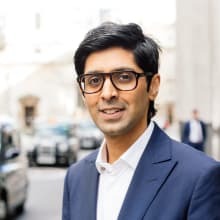 There can be no question that the legal system in the UK has been suitably adapted to facilitate the growth of Islamic finance and so its future development in the UK looks very positive. 1 John Dewar is a partner and Munib Hussain is a senior associate at Milbank, Tweed, Hadley & McCloy LLP. 2 Shamil Bank of Bahrain E.C. v. Beximco Pharmaceuticals Limited and others  EWCA Civ 19. 3 Islamic Investment Company of the Gulf (Bahamas) Ltd v. Symphony Gems N.V. & Others Unreported, 13 February 2002. 4 The Investment Dar Company KSCC v. Blom Development Bank SAL  EWHC 3545 (CH).